First things first – Happy New Year! Anyway, I received this email earlier today and thought I’ll share it with you wonderful people. In 2010, there were 121 new posts, growing the total archive of this blog to 519 posts. There were 19 pictures uploaded, taking up a total of 4mb. That’s about 2 pictures per month. The busiest day of the year was October 25th with 553 views. 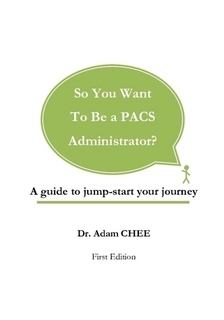 The most popular post that day was “So You Want To Be a PACS Administrator”. The top referring sites in 2010 were clubpacs.ning.com, linkedin.com, mail.yahoo.com, chitr.grouply.com, and wellsphere.com. Some visitors came searching, mostly for adam chee, binary healthcare, google ehr, radiologist shortage, and cleveland clinic ehr. This entry was posted in !Updates & Ramblings and tagged 2010 in review, Wordpress review 2010. Bookmark the permalink.